Shouts to Burd for taking his role as a producer to the next level. I don’t know much about this whole world of producers selling drum kits / sounds etc…but if it’s an extra source of income then I’m all for it. So yea…holla at that dude Burd for some crispy drum samples and step your produce game up today. 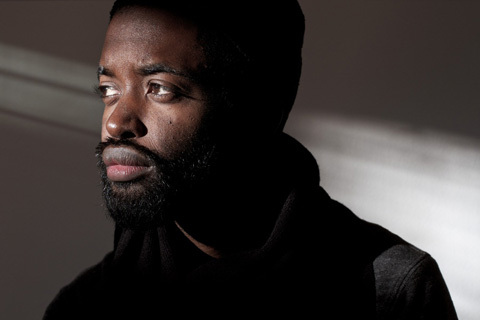 Carefully crafted sounds from award winning producer Burd & Keyz. This kit includes over 150 new sounds proven to sharpen the quality of your productions and give it that industry knock. All sounds are high quality .wav drums that are compatible with any DAW. These sounds are all fresh new cutting edge sounds designed by Burd & Keyz. Not re-labelled and re-packaged sounds like these other guys kits. Contains 15 completely original and unreleased compositions riffs (piano, guitar, strings), ready to be looped, chopped & processed to your hearts desire. BETTER SOUNDS = MORE PLACEMENTS!!! 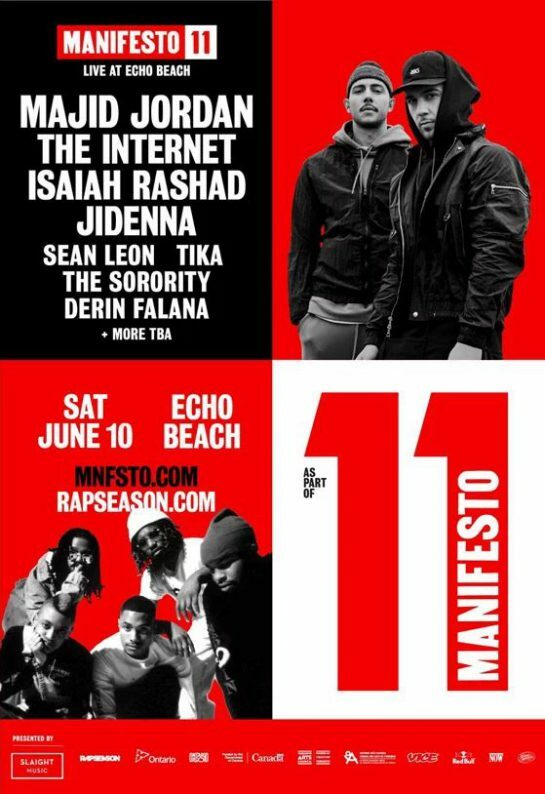 Great weekend weather for a great lineup all going down tomorrow at Echo Beach! There’s also a buy three get one free promotion with this event. Some big news from the homie Darren Anthony! Congrats to everyone involved. Definitely a must-see show! 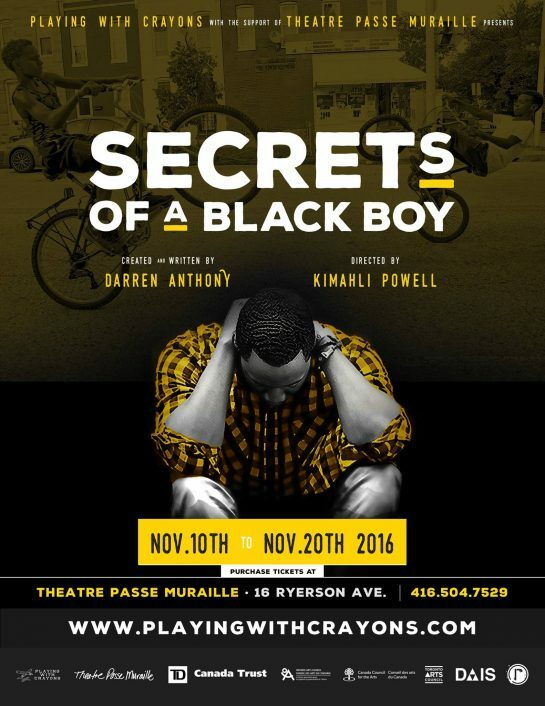 We’re excited to finally announce that our PLAYINGwithCRAYONS production of SECRETS OF A BLACK BOY will be in Theatre Passé Muraille’s 2016/2017 season from November 10th – 20th. Secrets is back in Toronto after being in the US for 2015 in a bigger and better way than before. We even have a few more secrets to tell. A big shout-out the cast and crew, sponsors and supporters who continue to grow with us. Big step in the right direction for the CBC. Congrats Amanda!!! 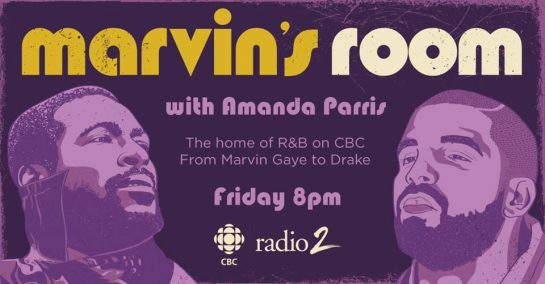 Marvin’s Room is a weekly CBC Radio 2 show that explores the world of R&B from neo-soul to trap soul and everything in between. Inspired by the studio where Marvin Gaye recorded much of his legendary music AND by the more recent Drake song of the same name, Marvin’s Room is a one hour journey that brings back the old school but also introduces what’s new. From Patti LaBelle to Party Next Door, host Amanda Parris is the guide for a whirlwind journey through R&B. EVENT: R.I.S.E. Edutainment presents John River x Esie Mensah x pHoenix Pagliaaci x Adria Kain + more! A couple years ago when I was at MTV News I got word of an open mic initiative in Malvern getting a lot of attention. It was called R.I.S.E. and run entirely by young kids from the area. One of those kids was Randell Adjei and I would end up producing a profile on him and how he started the initiative with his friends and peers. This Monday will be R.I.S.E’s last event of the year. If you haven’t been to a R.I.S.E. event yet, this would be a good opportunity to check it out. Guest performers include John River, Esie Mensah, pHoenix Pagliacci, Adria Kain, Brooke Jean, Tuggstar, Wolf J, YHW, C-Flava, Te Holder and Zakisha Brown. Shouts to Randell and the whole R.I.S.E team. What they’re doing over there is great. I wish I had something like this to look forward to when I was coming up in Malvern. Great critical piece about the undervaluing of our local hip-hop scene and the role that has played in its economic/industry shortcomings, written by Ian Kamau and currently up on Vice/Noisey. WE NEED MORE OF THIS TYPE OF ANALYSIS FROM OUR MEDIA! A few weeks ago I read an article that addressed a statement made by Drake in a short promotional documentary which features the Toronto rapper. In the commercial Drake confidently encourages emerging artists to “do it from where you’re at!” This statement grabbed my attention, partly because I think it’s an important one, and partly because I am an rapper born and raised in Toronto. Although the statement has some merit to it, it isn’t totally true. Yes, the Internet has changed the music industry completely by providing an opportunity for international exposure where at one point there was nothing. 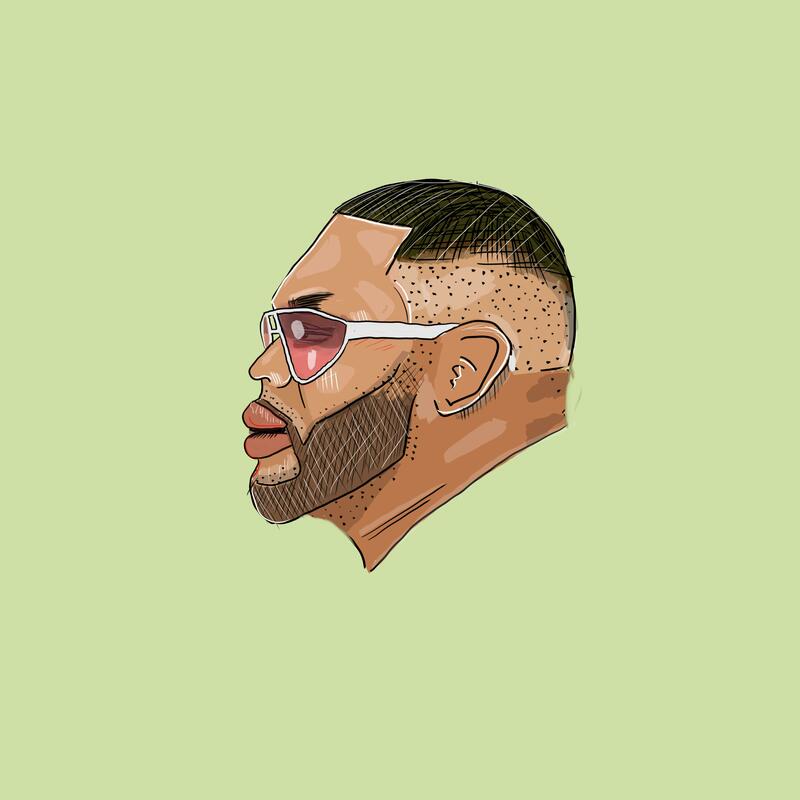 Artists like Shi Wisdom, Jazz Cartier and Daniel Caesar (currently some of my favorites from Toronto) have all used the Internet to build their audience locally and internationally. However, Drake’s statement is oversimplified and doesn’t take into account the labyrinth of gatekeepers, relationships, and power dynamics in the music industry as a whole, and the lack of accessible music infrastructure in Canada specifically. 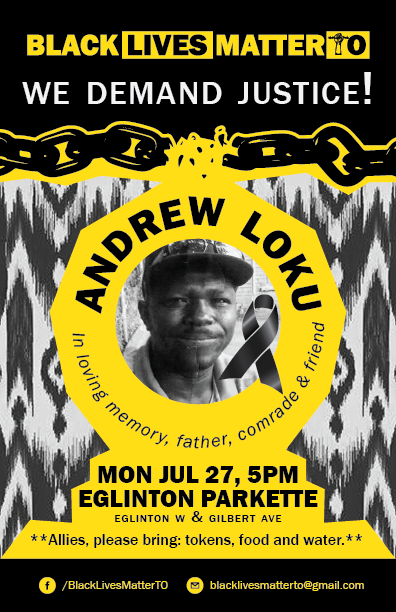 The highly questionable and tragic killings of Andrew Loku and Jermaine Carby by Toronto police are just two of the more recent incidents that inform the city’s Black communities’ turbulent relationship with the TPS. The Toronto chapter of the Black Lives Matter movement are holding a rally today to bring awareness to the need for more accountability, transparency, diligence and action from our law enforcement agencies and political institutions. Members of the Black community and their allies will hold a public protest at the Eglinton-Gilbert Parkette demanding justice for community members who have been victims of police brutality. The rally was called by Black Lives Matter-Toronto, who are specifically calling for justice for Jermaine Carby and Andrew Loku, both of whom are Black men who were slain by police in the Greater Toronto Area. The immediate release of the name(s) of the officers that killed Andrew Loku & Jermaine Carby. A confirmation that the police officers who killed Mr. Loku and Mr. Carby are off the streets. A date, no longer than four weeks, confirming when the SIU will conclude an initial investigation. Black Lives Matter-Toronto is the Toronto chapter of #BlackLivesMatter, an international organization and movement fighting anti-Black racism all over the world. 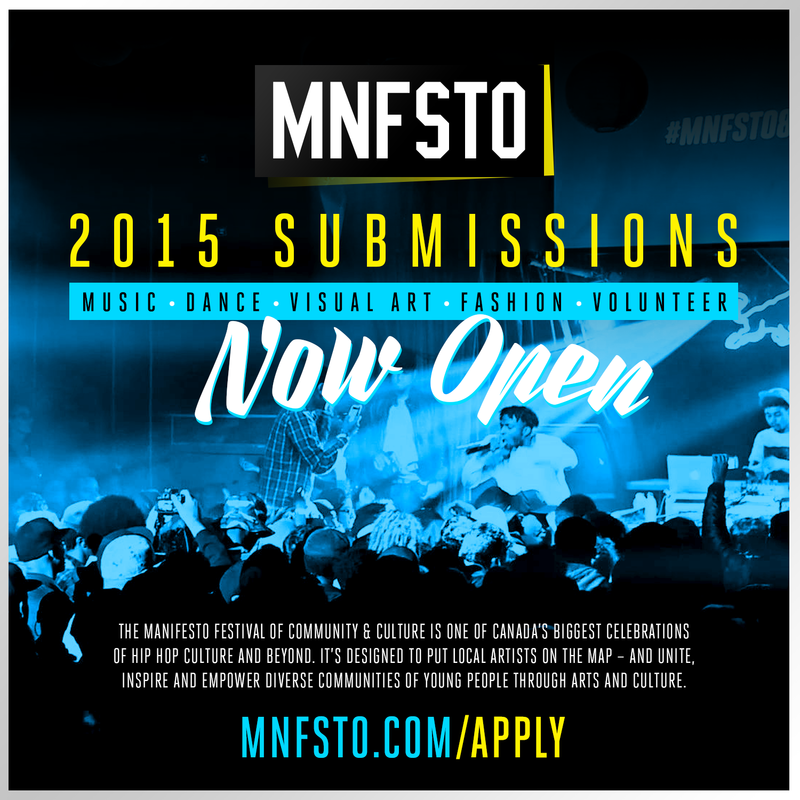 For further information: For inquiries, contact Sandy Hudson at blacklivesmatterTO@gmail.com or 416-722-8842. NEWS: CBC announces Shad as new host of Q! To say this is historic is to call it what it is. And as I said in my FB post, we can only hope that this signals purposeful, transformative and monumental changes to our public broadcaster. 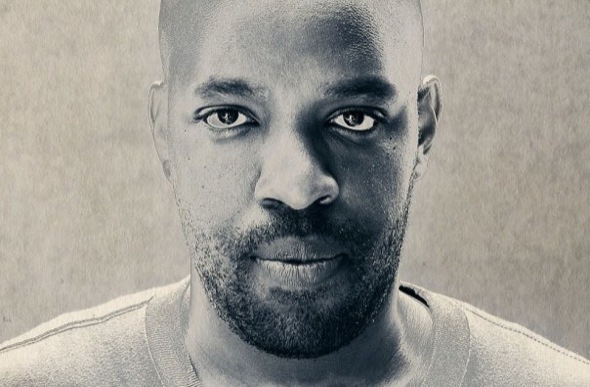 Congrats to Shad, G and team on this one. Eye Witness News covers The Remix Project as they take their art-based youth incubator formula to Chi-Town!